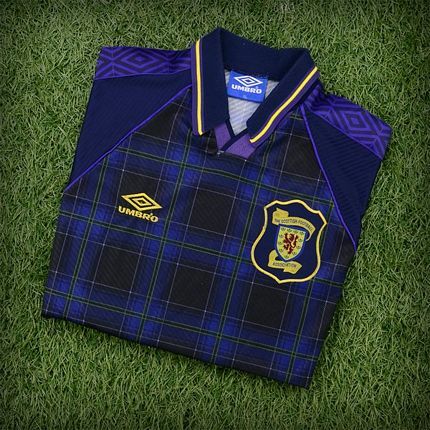 Buy a range of Scotland football shirts, kits, jackets and trousers from the strips for the years 1980 onwards. There is a range of sizes which includes adults and children. Prices start from under £10 and include home and away soccer strips. Rare items include player and goalkeeper presentation jackets, polo t-shirts and shorts. 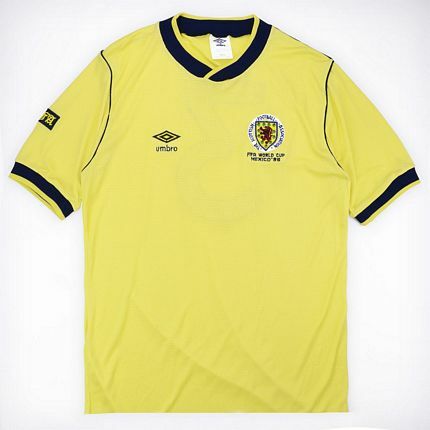 Other Scottish football shirts are available from Vintage Footballshirts.